Subaru XV Crosstrek, Perfect Vehicle for the Outdoorsperson? Back in January, my wife and I placed an order for a Subaru XV Crosstrek Premium with the CVT and a couple of the smaller options. We timed the order knowing it would take probably 4 months for delivery, anticipating that my car would be paid off before we got the car, giving us only one car payment and possibly a little time where we don’t have any payments. We took delivery of our Crosstrek today and timed it so our first payment is not due until June. My car has just under 50,000mi on it, so we should be able to pay off the Subaru before I need another. And with it being a Honda, it sure would be nice to get even longer out of it so we can enjoy a couple years at least without any payments. Posted on May 1, 2013 February 26, 2018 Categories Camping, Gear, Mountain Biking, Paddling4 Comments on Subaru XV Crosstrek, Perfect Vehicle for the Outdoorsperson? 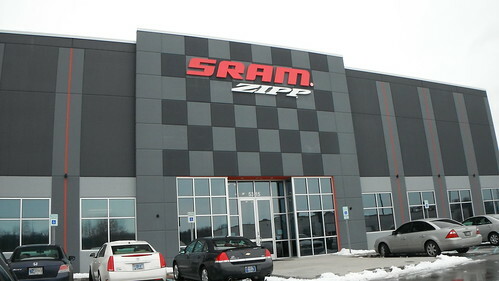 I recently got the opportunity to take a tour of the SRAM/Zipp Wheels Factory in Indianapolis, IN. All you get is a picture of the exterior of the factory because I had to sign a nondisclosure agreement because of the proprietary materials, processes, and as-yet unreleased products I might see inside. I gotta say it was a pretty cool opportunity. I’ve visited and worked in a number of factories over the years and this one was pretty clean by comparison. Zipp Wheel tech is pretty cool, I’ve gotta say. And these things are handmade. Laid up by hand, finished by hand, and assembled by hand. With hubs that are built in Mooresville, IN. They even assemble some of the SRAM mtb wheelsets here. I ordered a Paul Components Stem Cap Light Mount to use on my On-One Pompetamine commuter bike, and it arrived via USPS today. Is My Bike Worth Upgrading? 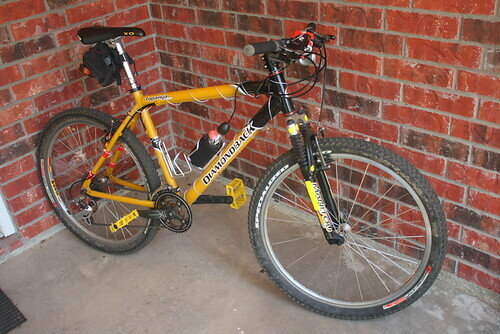 You’ve had a bike for awhile and you’ve decided the bike has some limitations. You want to upgrade it because you like it otherwise. “Is it worth upgrading?” you ask. It depends on what it is and what you plan to do with it. How old is it? 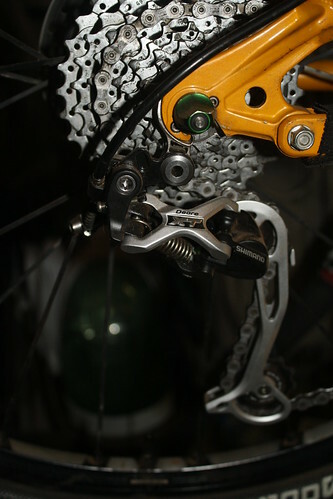 Do you plan to keep the upgraded parts longer than the frame? Posted on December 30, 2011 Categories GearTags bike, fixie, mart bike, singlespeed, upgradeLeave a comment on Is My Bike Worth Upgrading? I’ve been planning to visit the Upland Island Wilderness for awhile. I ordered a map from MyTopo for this area last summer and I’ve been trying to get out here since. On the 4th, with the wife out of town, I figured I’d go hike in the Upland Island Wilderness. I wanted to see the longleaf pine savannas and the spring-fed bogs at the exposures of the Catahoula Formation and photograph some of the carnivorous plants. The trip didn’t work out how I had hoped. The trailhead area was pretty dilapidated. Something public isn’t available, but I don’t know what.